PAUL BILODEAU/Staff photo. 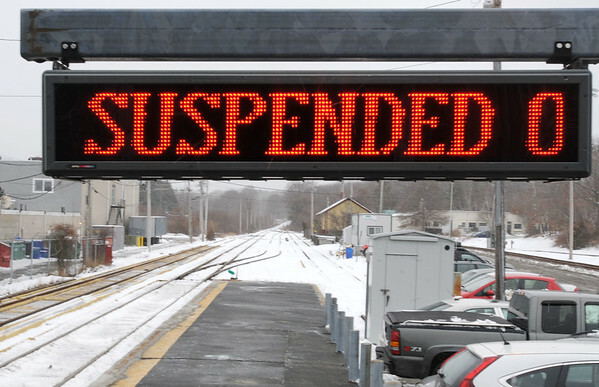 All trains on Tuesday have been suspended. Here a sign on the platform at the Rockport Station tells commuters.